HomeCelebsWe're loving Shah Rukh Khan and Gauri Khan's adorable social media exchange of messages! 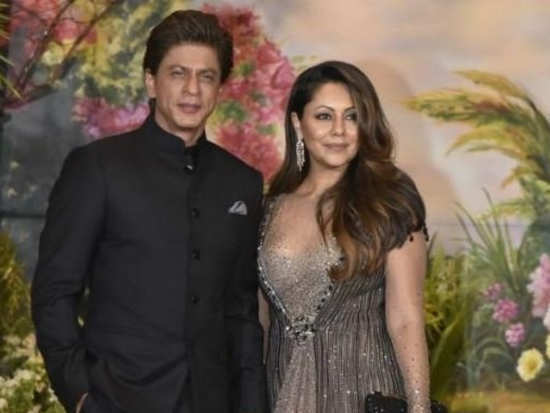 Gauri Khan had the cutest response to her husband's question. Shah Rukh Khan and his wife Gauri Khan's love story is no less than an epic romantic film. The two have been serving up #couplegoals for years now and they can easily be termed as 'Bollywood's First Couple'. Over the years, the power couple has not only redefined the meaning of true love but they have also become B-Town's most loved couple. Today marks their 27th wedding anniversary and we have just come across their adorable social media banter that can be simply termed as 'epic'. Want to know what keeps Kareena Kapoor Khan super fit? Here's the answer! ‘Bazaar’ debutant Rohan Mehra has already signed his first brand campaign ever! 1We're loving Shah Rukh Khan and Gauri Khan's adorable social media exchange of messages! 2Deepika Padukone and Ranveer Singh to wed in two different rituals! 4Manish Malhotra to design Priyanka Chopra’s wedding ensemble? 5Jacqueline Fernandez sizzles in green at the One Young India event! 6Want to know what keeps Kareena Kapoor Khan super fit? Here's the answer! 7Meghan Markle and Prince Harry are expecting a baby! 10‘Bazaar’ debutant Rohan Mehra has already signed his first brand campaign ever!